I graduated from the University of Glasgow in 2008 with a joint MA (Hons) in English Literature and French. I am a new member of NEICN and I am delighted to have been awarded a PhD Research Studentship to work as part of the Leverhulme affiliated 'Consumer Culture, Advertising and Literature in Ireland' Research project based at the University of Sunderland'. My PhD thesis, ‘Consumer Artistry from Famine to Freedom’, is being supervised by Dr Alison O’Malley-Younger of the University of Sunderland. It will examine the treatment of children in Irish literature from the perspective of encroaching consumer culture and imperialism. I aim to reveal unconventional representations of children, motherhood and the Irish literary family as indicative of commentary on the trajectory of the industrial revolution, Victorian England and subsequent consumer culture. My other academic interests include Irish modernist and post-modernist literature, Irish social and cultural history, surrealism, sociolinguistics, Belgian literature, bande dessinée and literary theory. I completed my BA in English at the University of Exeter, and my MA in Critical Theory at the University of Sussex. My Masters dissertation, supervised by Prof. Nicholas Royle, was written on the use of language and history in James Joyce's Ulysses. 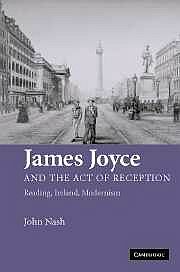 My doctoral thesis, supervised by Dr John Nash at Durham University, reconsiders Joyce's use of advertising in Ulysses. I trace the material sources of Joyce’s fictional advertisements, arguing that Joyce engaged far more thoroughly with the practice than has previously been allowed. With close attention to the specifically Irish experience of advertising and commodity culture, I consider Joyce’s use of advertising in the broader contexts of British imperialism and Irish nationalism. Dr Claire Nally completed her PhD on W. B. Yeats in 2006 at the University of Manchester, under the supervision of Professor Terry Eagleton and Professor Murray Pittock. She has previously worked as a lecturer in English at the University of Hull, and prior to that taught at the Universities of Manchester and Salford. She is completing a book entitled Envisioning Ireland: Occult Nationalism in the Work of W. B. Yeats, to be published in late 2009 which addresses the poet in relation to nationalism and identity formation. 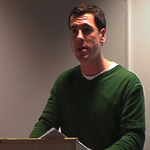 Dr Nally has also published articles in the Irish Studies Review, the Canadian Journal of Irish Studies, and the Guardian and has a forthcoming essay in a book collection with Cambridge Scholars Press edited by Alison O’Malley Younger and Paddy Lyons. Other academic interests include James Joyce, D. H. Lawrence, Old English literature, and nineteenth-century representations of women on stage (specifically, the burlesque). 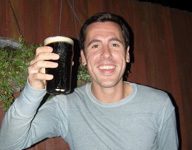 After a D.Phil at Oxford, John Nash worked at Trinity College Dublin for over a decade and moved to Durham University in 2006, where he is Senior Lecturer in English and Co-Director of Research for the Department of English Studies. He teaches widely in post-1700 British and Irish literature and has research interests in: James Joyce; modernism; Edwardian literary culture; and critical theory. His monograph, James Joyce and the Act of Reception: Reading, Ireland, Modernism was published by Cambridge University Press in 2006. 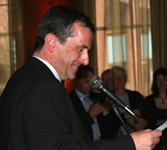 He is the editor of Joyce's Audiences (Rodopi, 2002) in the European Joyce Studies series, and has written widely on Joyce, critical theory and contemporary fiction. His main current project is a book on the representations of domestic objects in Edwardian and modernist fiction, charting shifts in domesticity in the period. David is a freelance media consultant, a member of NEICN, a co-founder of Road Ahead and part time musician. He graduated in Clinical Biochemistry and worked for many years in the NHS, moving into IT, then media. His contribution to the project is in developing and maintaining this web site and providing the film content. Other interests include documentary film making, drama production and a host of musical activities. 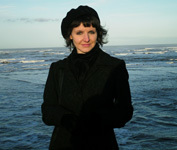 Dr Alison O’Malley-Younger is a Senior Lecturer in English at the University of Sunderland. With Professor John Strachan, she is co-director of the North East Irish Culture Network. Her primary research interests lie in Irish Literature, particularly Irish Drama from the nineteenth century to the present day. She has published in the fields of contemporary critical theory, women’s writing in Ireland and Irish Drama. Her current projects include: ‘Essential Criticism: Brian Friel with Palgrave Macmillan. She has also published specifically on Brian Friel, Dion Boucicault, and Jennifer Johnston among others. She has edited and contributed to Representing Ireland: Past, Present and Future, (2005) with Frank Beardow, Essays on Modern Irish Literature, (2007) with John Strachan, No Country for Old Men: Fresh Perspectives on Irish Literature, (2008) with Paddy Lyons, and Ireland: Revolution and Evolution, also with John Strachan (2009). Dr O’Malley-Younger will be contributing to and editing the multi-authored volume of essays on Consumer Culture, Advertising and Literature in Ireland 1848-1921, assisting in the organisation of conferences and symposia. 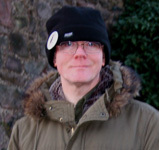 John Strachan is Professor of English at the University of Sunderland. With Alison O’Malley- Younger, he established the annual Irish Studies conferences at Sunderland in 2002 and he is a founding member of the North East Irish Culture Network. With Dr O’Malley-Younger, he has edited Essays on Modern Irish Culture (2007) and ‘Ireland: Revolution and Evolution’ (2009). John's books and editions include Parodies of the Romantic Age (1999), Poetry (2000), British Satire 1785-1840 (2003), Leigh Hunt’s Poetical Works (2003), The Routledge Complete Critical Guide to the Poems of John Keats (2004), and Blackwood’s Edinburgh Magazine: Selected Criticism 1820-1825 (2006). He has published widely on historical advertising, and is the author of Advertising and Satirical Culture in the Romantic Period (Cambridge University Press, 2007). Professor Strachan is also the Associate Editor for Romanticism for the seventh edition of The Oxford Companion to English Literature.